Show on google maps Facing the North Sea, the south west part of Sweden is all about stunning archipelagos with thousands of tiny islands. Fishing traditions are well known in these parts and the seafood is plentiful – 90% of Sweden’s oysters originate here, and along with shrimp, crayfish, mussels, and lobsters, they make up the 'big five'. Reserve spots at this table and enjoy the beautiful surroundings together with friends and family. The table is located at Ramsvikslandet, a nature reserve known for its hiking trails, with vast cliffs and stunning sea views and only 11 km by car from fishing village Smögen and 1,5 hours north of Gothenburg. The table is bookable every Friday between 24 May to September. 1. Book your seats at the table for free. Please note that the booking is for seats at the table and DIY recipes – no meals are included in the booking. The table is bookable every Friday between 24 May to September. Why book add-ons? 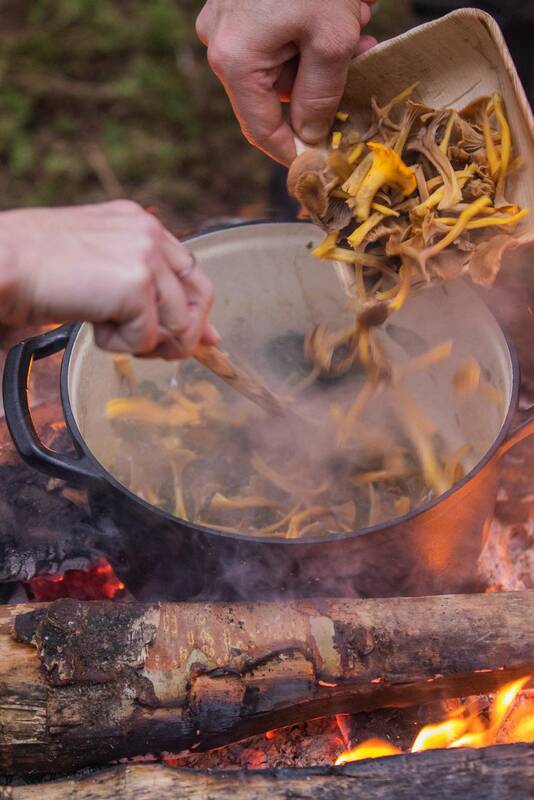 Foraging and cooking in nature is a fun and rewarding experience, but can also be a bit of a challenge. Why not book an add-on like a cooking kit or a local foraging guide? It makes it more relaxed and gives you the chance to learn more about the region and its cuisine. Besides the fine do-it-yourself dining at The Edible Country, you won’t be short of adventure in West Sweden. The region has a number of nature reserves, walking paths, kayaking and cycling trails. As well as food and drink experiences. Read more about the table, add-ons and activities in West Sweden.